Sarah Hurt’s business gives local artists a hand in finding potential clients. GET THE PICTURE? For designers and architects,Sarah Hurt’s Seattle Art Source maintains a catalog of ready-to-install artwork. It even delivers! 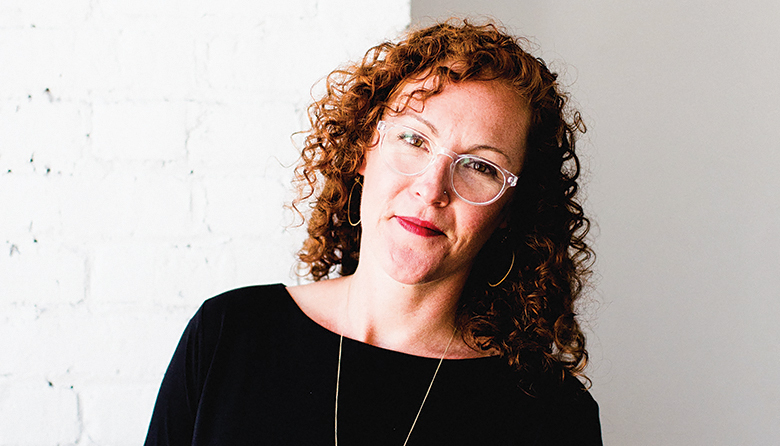 Sarah Hurt is founder and owner of Seattle Art Source, which connects interior designers, architects and developers with independent creators of original fine art. I was curating three-month-long art shows at a space in the International District and at the end of each show, I’d ask the artist where their unsold art would go and they’d inevitably say, “Back to my studio,” or, “Into a closet.” I knew that there had to be a better way, so I started talking to interior designers about placing local artwork in their projects. I found out that there was an interest but that it wasn’t easy for them to find local artists, so I decided to make it easier. Why is it important to feature (mostly) local artists? The pragmatic side is that it keeps my costs down. Shipping is super expensive, plus I like to do business in person and staying local means I have quick and easy access to artists. The philosophical side is that there are a lot of local artists who make great work but, for whatever reason, can’t seem to connect with the Seattle market. Selling their work is my teeny-weeny way of encouraging artists to stay and keep Seattle creative. How do you structure the financial split? Forty-sixty. The artist gets 60 percent. I love introducing people to original art! I love talking to them about what they see, what they’re looking for and how they want the art to feel at home. Those conversations are satisfying because I feel like I’m adding something beautiful to that person’s life. The website programming. I like to work out of my strengths and I think I’ve reached the crest of my ability in that area. How do you choose the artists you represent? In part, it’s my personal taste but also knowing what sells and what doesn’t sell. Edgy art, even if I love it, doesn’t sell. What kind of artwork is easy to place? Ninety percent of the paintings I sell are abstracts. I also sell a lot of art with blue in it because a lot of Seattle designers and homeowners use blue. And I tend to sell middle-size pieces, in the 30-inch-by-40-inch range. What makes an art piece hard to sell? Paintings with red in them. I think that color is too controversial, too dividing. When homeowners want art for their walls, what kind of questions do you ask? I ask about their house, what rooms they spend the most amount of time in and if they want art that’s visually stimulating or more relaxing. I have to read between the lines, though, because I’ve had clients who say, “I only want neutrals,” but end up buying a painting that’s all vibrant colors. People in their 30s and 40s who are transitioning out of mass-produced framed prints or have an interior designer for the first time. Have you ever commissioned an artist to make work that you know will appeal to clients? Yes. Sharon Kingston is an oil painter and she paints big floral dahlias in deep, bruisy, almost Renaissance-like color layers. They’re gorgeous and interesting and I’m confident they’re going to sell. Name a favorite moment from the past year. My 8-year-old is built like a giraffe — she’s all limbs — and after school she puts on her roller skates and we walk/skate in our neighborhood. I hold her soft little hand and she talks about school and friends and who’s doing what … she’s a rolling smile. When somebody is excited about what they’re doing. I find that really engaging. My mom. She went back to college to become a nurse in her 40s and I really applaud her drive. When my 13-year-old talks back and will not take the hint that she needs to zip it. I have a pretty long fuse but she knows how to get under my skin. Do you have a secret talent that nobody knows about? I am a very good parallel parker. Probably “Hells Bells” by AC/DC (big laugh). Or “Blackbird” by the Beatles. Eleanor Roosevelt; James Beard; my maternal grandmother, Shirley Wargo — she was a riot — and Douglas Wargo, my brother. “… building something long term.” I want my children to inherit a city that still has artists living in it.